State of West Bengal is located in an eastern zone of India. It’s surrounded by the Bay of Bengal. It is inhibited by a large number of people. Many individuals possess their own vehicles and there are many other modes of transport in the state as well. In order to regulate and monitor transport and vehicles, West Bengal RTO is established. It operates as per the direction by Motor Act of 1988. It has got many activities to perform. Each and every task is important. One of the most basic yet essential activity is to get our new vehicles registered. The entire process has been elaborated below. How To Get Your New Car RC Through West Bengal RTO? Its mandatory to get our new vehicles registered. Without registration driving the vehicles is a punishable offense. Registration copy is often referred as RC in short. If you are staying in West Bengal and purchased a new car than you must get it registered. We can visit any of the district RTO office for that purpose. In order to get the copy of our registration, we must submit a couple of documents. These documents are as follows. There might be some additional documents required as directed by the concerned West Bengal RTO office. After receiving these documents they are thoroughly verified. If all our documents are complete then we can expect our RC within a short time. West Bengal RTO is quite proficient in all the tasks it performs. Some of its major activities are as follows. 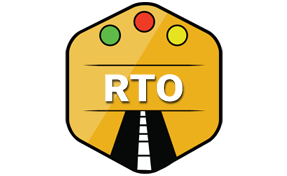 Vehicle owner or person who drives any mode of transport must visit the RTO office. They can go to the RTO in their city. RTO details along with the code for reference has been tabulated below. Regional Transport Office, Beltala, Kolkatta, West Bengal – 700020.